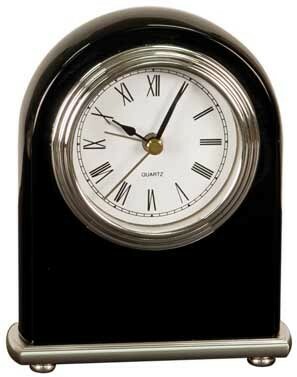 Black Piano Finish Arch Desk Clock with an engraved plate. *Engraved flexibrass plate size: 3/4" x 2-3/4"
*Will fit in 5" x 7" black velvet bag. Sold & shipped separately.